HOUSTON, TEXAS (January 23, 2018) Seven weeks and two days ago, the 2017 season ended on a disappointing note in a Western Conference final loss to Seattle Sounders. Fast forward to January 23rd as the Houston Dynamo opened the 2018 pre-season under blue skies, sunshine and a balmy 64 degrees, a far cry from last week’s near ice-age temperatures. In shorts and t-shirts, Dynamo head coach Wilmer Cabrera put his men through their paces for the first time in a season that is not short on excitement or expectations. To a man from the coach himself to the most proclaimed veteran to the newest rookie in camp, this year’s confluence of players professed that this year will continue the unfinished business of the upstart 2017 squad that surprised the world of Major League Soccer. In 2018, the Dynamo return a solid core of players seeking to build on the continuity and success of 2017 that saw them not only return to the playoffs but also become the most prolific scoring side in club history. Unlike last season, the expectations to hoist “The Cup” on December 8th are there from day one. With 34 players in camp and 24 under contract there is plenty of competition to be had especially at right back. No one will be sitting on their laurels from last season. Not Cubo or Manotas or Wenger. Not Beasley or De La Garza nor Leonardo or any other member of the Orange and White will be taking anything for granted. 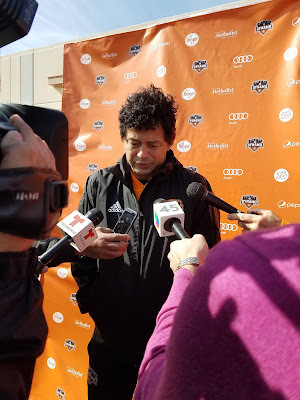 Last season, Cabrera was entering his first year as the Dynamo head man and had a lot of question marks to be answered. How would 11 new players fit in and how quickly would it take for them to gain some chemistry. Cabrera was impressed by the players commitment to prepare, to execute and to win. This season, it will take that same commitment and then some added Cabrera. Andrew Wenger and Arturo Alvarez were among the many who stepped in front of the microphones talking about how special last season was and how exciting this season may be both for the players and the fans. Alvarez, a native Houstonian was playing for FC Dallas when Houston got its franchise in 2006. Now 11 seasons later, the midfielder gets to put on the uniform of his hometown team. Alvarez joins a crowded midfield that includes Tomas, Martinez, Juan David Cabezas and young newcomer Daniel Ceren just to name a few. Wenger, now in his third season since arriving for the 2016 season, was as excited as any player on the pitch. Last season, Houston used Wenger as a facilitator taking advantage of his ability to stretch the defense and deliver pinpoint precision services into the box. This season looks to be as exciting for the former Mac Hermann trophy winner. Rookie goalkeeper Michael Nelson fresh from SMU and the 2018 MLS Draft is a lifelong Dynamo fan growing up when Houston played at Robertson Stadium on the campus of the University of Houston. The Seven Lakes high school alum is excited about his opportunity to play for the team he grew up watching and make his mark between the pipes. It’s just one day in the books of a long, long season. In fact, it’s 299 long days till MLS Cup 2018 but before you know it March 3rd Opening Day will be here and that’s when the real excitement will begin. 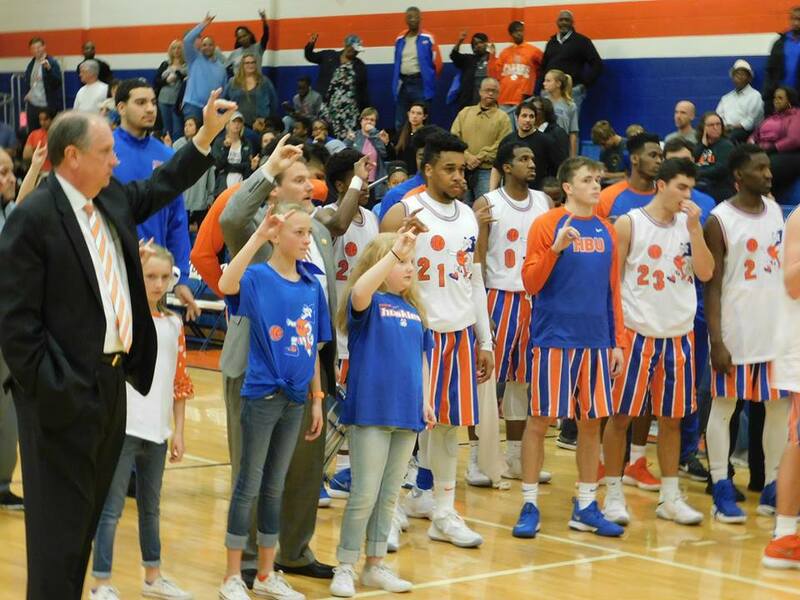 HOUSTON, TEXAS (January 20, 2018) In a run and gun game that saw 10 lead changes, the HBU Huskies fell to the McNeese State Cowboys by the score of 86-81 in a packed Sharp Gymnasium in Houston. David Caraher pumped in 30 points in the effort while Jalon Gates added 26. The 30-point performance for Caraher was the second of the season while Gates effort was a career-best. Caraher also tallied 12 rebounds to give him his third double-double of the season. Braxton Bonds added 13 points to the HBU total, along with seven assists. McNeese's Quatarrius Wilson had a career-high 17 rebounds to go with his 11 points while Kalob Ledoux added 20 for the Cowboys. The Huskies will host Incarnate Word in Sharp Gym on Wednesday, January. 24, at 7:00 p.m.
HOUSTON, TEXAS (January 20, 2018) The HBU Huskies jumped out at a 35-33 at halftime, but could not overcome the second half surge of the McNeese State Cowgirls and dropped an 86-74 decision at Sharp Gymnasium in Houston. With the loss, the Huskies post a 1-6 Southland Conference record with a 5-12 record for the season. Their halftime lead was paced by the shooting for Sydney Carr and Sophie Taylor; each with seven points. Britta Daub and Amanda Johnson each chipped in five to account for 24 of HBU's first half points. However, McNeese's 53 second-half points sealed the deal; outscoring the Huskies by 14. HBU outscored McNeese 20-12 in the first period for their early lead, but the Cowgirls came back in the second period with a 21-15 advantage to cut the Huskies lead to two after 20 minutes. The Cowgirls made some adjustments at halftime, as they came back in the third period to outscore HBU 24-16 to take a 57-51 lead with 10 minutes to play. Johnson and Carr both tallies 16 points for the Huskies, with Lauren Calver adding 13. Taylor and Daub finished the game with nine points each, while Veronika Kirienko came off the bench to pull down seven rebounds in 19 minutes of play. For the Cowgirls, Dede Sheppard led all scores with 19 points, followed by Caitlin Davis and Bre'Ashlee Jones with 15 each. Mercedes Rogers also came off the bench to record seven rebounds, all on defense. Next up for the Huskies will be a Wednesday, January 24 match-up against Incarnate Word in San Antonio. HOUSTON, TEXAS (January 14, 2018) Coming from 23 seconds behind the leader at the 40-kilometer mark, Bazu Worku won the 2018 Chevron Houston Marathon in the time of 2:08.31. It was the third Houston win for the 27-year-old from Ethiopia, having taken top honors in 2013 (2:07:32) and 2014 (2:10:17). He stayed in the lead pack from the start through the halfway point and faded to 14 seconds behind second place finisher Yitayal Atnafu. That deficit increased to 39 seconds at the 35-kilometer mark. At 40-kilometers, he increased his pace, cutting the gap to 23 seconds. With a bit over two kilometers to go, he made up his 23-second deficit and sprinted ahead to win by 37 seconds. In 2009, he finished in second place and set a world record in the event with the time of 2:06.15 in the 2009 Paris Marathon. His 2017 victory in Houston stands as the third fastest in race history. In 2010 in Berlin, he achieved his personal best with the time of 2:05:25. HOUSTON, TEXAS (January 14, 2018) Jake Robertson (shown left) moved into the lead at the 20-kilometer mark and went on to win the Aramco Houston Half Marathon. 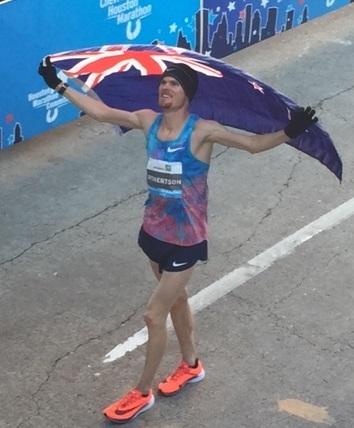 The New Zealander's winning time of 1:00:01 was the third fastest in history and the faster performance since 2012 when Ethiopia's Feyisa Lilesa established the record with a 59:22 performance. He competed in the 5000 meters at the 2013 World Championships in Moscow, where he finished fourteenth in the second heat in a time of 14:09.55 and did not qualify for the final. At the 2014 Commonwealth Games in Glasgow he finished ninth in the 5000 meters and seventh in the 10,000 meters. On September 10, 2017, Robertson was runner up in the 2017 Great North Run in 1:00:12, six seconds behind of Mo Farah. 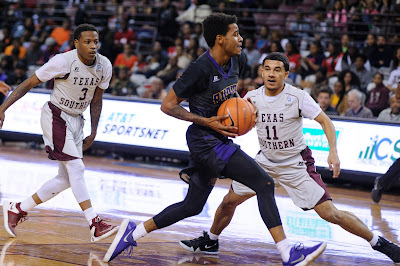 HOUSTON, TEXAS (January 6, 2018) The TSU Men’s Basketball team faced off against the Men from Prairie View A&M on Saturday night at TSU where Texas Southern picked up its third conference win. Holding on in the face of a late rally, the Tigers secured a 100-94 victory over the Panthers. The Tiger men dominated the game with wide spread scoring efforts from Derrick Bruce who added 22 points and Demontrae Jefferson who scored 23 points. Additionally, Marquis Salmon had 15 points and 12 rebounds, Donte Clark had 14 points and seven rebounds and Lamont Walker chipped in 12 points for the Tigers. Texas Southern led by as many as nine points, 32-23, with 4:08 to play in the half and had a 41-37 edge at the break. The Tigers led throughout the second half and a jumper by Walker gave the Tigers their biggest lead of the game, 86-57, with 6:33 to play. A rally by Prairie View during the final two minutes cut the lead to five points, 99-94, with three seconds left. With only one point scored by TSU from a free throw, the defense held on to give the Tigers the win. HOUSTON, TEXAS (January 6, 2018) The ladies from Prairie View upset the Texas Southern women’s basketball team 63-58 on Saturday afternoon in route to a possible SWAC title and an NCAA tournament berth. Prairie View took a 31-29 lead into halftime. Johnson rallied TSU with 10 straight points for a 43-39 lead. Prairie View's Washington then led a 9-0 run, but TSU's Parker hit a 3-pointer to cap five quick points for a 48-48 tie before the Lady Panthers pulled away. chance to bring her team within one but missed a 3-point attempt and TSU's Miracle Davis turned the ball over under her own basket with 40 seconds left. While Alexus Johnson had 16, TSU was led by conference player of the year Jazzmin Parker who scored 20 points. The redshirt freshman scored inside and out, single-handedly taking the Lady Tigers on a 10-2 run. Praairie View’s LaReahn Washington had 20 points while Jeanette Jackson lead the team with 22 points, including four free throws in the final 30 seconds, to clinch the team's fourth straight conference title and sixth NCAA appearance in school history. The title game appearance was TSU's first in school history. FRISCO, TEXAS (January 5, 2018) In less than 24 hours, Toyota Stadium in Frisco, Texas will become the center of the college football world as No. 1 James Madison Dukes (14-0, 8-0 CAA) will face off against No. 2 North Dakota State Bisons (13-1, 7-1 MUFC) in the NCAA Division I Football Championship Game. Kickoff is set for 11 a.m. CT and will be nationally televised on ESPN2. It will also be streamed on ESPN3 and the ESPN app. The game marks the third meeting between JMU and NDSU, will all three games coming in the FCS playoffs. North Dakota State won the initial meeting in the 2011 FCS Second Round, by the score of 26-14. James Madison took the second game in the 2016 FCS Semifinals; 27-17. Both of the games were played in Fargo, North Dakota. The Dukes are making their 14th FCS appearances and are looking to repeat as the NCAA Division I national champion. They won in 2016 in Frisco in addition to taking the title in 2004 in Chattanooga, Tennessee. The Bison won their 13th football national championship in 2015. They claimed three College Division national championships via polls in 1965, 1968, and 1969. The Bison also took five Division II titles, through the playoff format, in 1983, 1985, 1986, 1988, and 1990. In addition, they were the first team in college football history to win five straight national championships with FCS titles in 2011, 2012, 2013, 2014, and 2015.
in her TSU career in the game against Alcorn State. HOUSTON, TEXAS (January 3, 2018) The TSU Lady Tigers jumped out to a 23-11 lead after the first period and went on to down the Alcorn State Lady Braves by the score of 91-57 in SWAC Conference action at H&PE Arena in Houston. Starting guard Joyce Kennerson accounted for 32 of the TSU po, with nine assists. Kaitlyn Palmer added 19 points while Breasia McElrath tallied 10 rebounds. time list. Her nine assists were a season-high. Palmer tied her assist high for the season with four. TSU shot a season-high 57.9% from the field and 50% from three-point range; also a season-high. Alcorn State was led by Tia Sanders with 15 points, followed by Alexus Freeman with ten. Miracle Rushing pulled down 10 rebounds; five each on both ends of the court. The victory moves the Lady Tigers to 1-1 in SWAC action and 6-7 for the season. Next up for TSU is a 5:30 p.m. CT match-up against long time rival Prairie View A&M on Saturday, January 6. 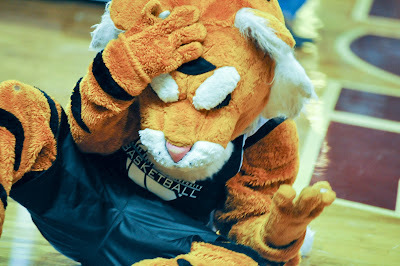 HOUSTON, TEXAS (January 1, 2018) The Texas Southern Tigers downed the Southern Tigers by the score of 78-66 at H&PE Arena on New Year's Day. Derrick Bruce tallied 28 points for TSU while Demontrae Jefferson added 25. Trayvon Reed pulled down 11 rebounds in the effort. The Tigers moved to 1-13 for the season and 1-0 SWAC. The win game TSU head coach his 100th victory Fans can view the official game stats here. Next up for the Tigers is a January 3 game against Alcorn State. 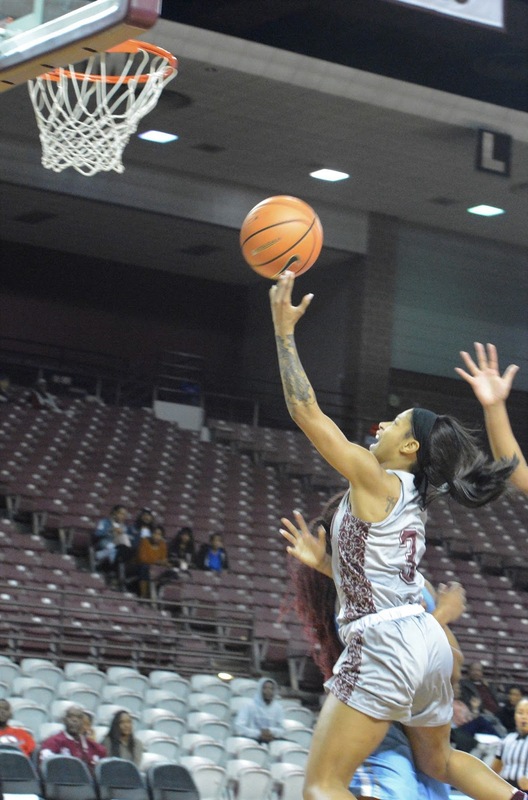 HOUSTON, TEXAS (January 1, 2018) The Texas Southern Lady Tigers jumped out to a 35-29 lead at halftime, but it was not enough to overcome the second half surge of the Southern Jaguars, as they dropped a 67-57 decision at H&PE Arena in Houston. The loss drops the Lady Tigers to 5-7 for the season and 0-1 in conference play. The Lady Tigers shot 44% (11-of-25) in the first half, but made only 8-of-31 shots from the field in the second half. Junior starting guard Joyce Kennerson led all scorers with 21 points while Isis Lane came off the bench to chip in 10. Kennerson, who played her prep ball for Memorial High School in Port Arthur, Texas, was also 8-of-9 from the free throw line. Starting guard Camille Mills pulled down eight rebounds while Kaitlyn Palmer recorded three assists. Texas Southern took the lead at the 5:39 mark in the first quarter and held it until late in the third quarter. With 1:56 left in the quarter Southern's Tiamya Butler stole the ball and score two points on a layup. That game the Jaguars a 44-43 lead of which they never relinquished. The Lady Tigers were held to 14 points the remainder of the game, while Southern when on a 23-point scoring drive. Briana Green scored 20 points for Southern along with seven rebounds. Next up for the Lady Tigers is a Wednesday, January 3 match up against Alcorn State with a 5:30 p.m. CT tip off at H&PE Arena. PASADENA-DEER PARK, TEXAS (January 1, 2018) News reports out of Pyongyang indicate that North Korea leader Kim Jong-un is open to the idea of his country's athletes competing in the upcoming Winter Olympics. Pairs skaters Ryom Tae-Ok and Kim Ju-Sik are the only North Korean athletes that have qualified for Pyeongchang 2018. The pair is the bronze medalists from the 2017 Asian Winter Games. "The Winter Olympic Games that will be held soon in the South will be a good opportunity to display the status of the Korean nation and we sincerely wish that the event will be held with good results,"
North Korea missed last month's deadline to accept their spot, however they could still be allowed to participate. It also remains possible that other North Korea winter sports competitors could be given wildcards entries to the Games.